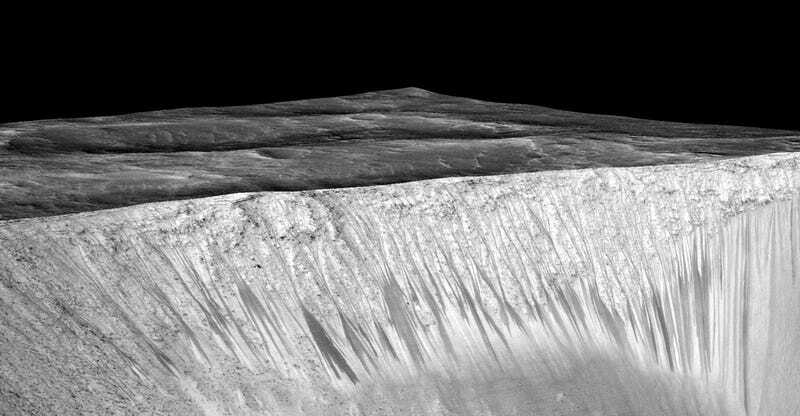 We’ve been looking at new images showing the movement of water on Mars today. Those new images are pretty incredible, but while these latest images are the ones that helped confirm the discovery, the photos that led up to it have been trickling in for almost up to a decade—and those older photos are pretty important too. Here, we’ve assembled a look back at pictures of water on Mars—from the flyover footage released today, to the before-and-after GIF that the researchers released in their then preliminary study in 2011, to the then-unconfirmed photos of areas that they only thought may contain water from almost over a decade ago. 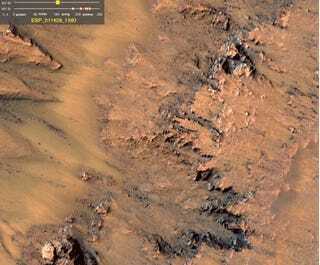 Are these pictures of water flowing on Mars, right now?